This article explains how to redirect your website from the non www url to the www url but editing the .htaccess file. This is necessary because search engines think that example.com and www.example.com are different websites. But since they both have the same content it might work negatively on the search engine ranking. So it is better to redirect example.com to www.example.com doing so this sends HTTP 301 status code when a search engine (or any user) accesses example.com. 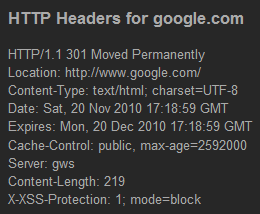 The 301 code says the non www domain has been “Moved Permanently” to the www domain. Before proceeding make sure the server has support for mod_rewrite. Take a look at the first two lines. The first displays the status code and second shows where it redirects to. Note to Joomla users – if you are using Joomla’s SEO friendly URLs feature using .htaccess file there is no need to enter the first line (RewriteEngine On) again as the .htaccess file shipped with Joomla already contains this.